Sign-up and receive Property Email Alerts of Residential New Developments in Fct, Kyami. 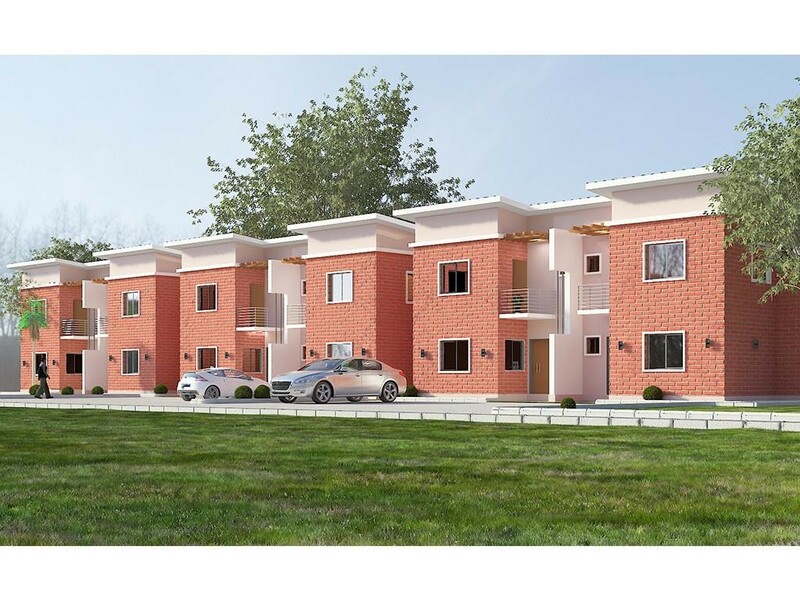 Urban Shelter Estate, Kyami, Abuja is an affordable housing development designed to solve the various housing problems through the proper design of its housing units, landscaping and spatial organization. It is located in the serene and ideal part of the capital city of Abuja, away from the noise and bustle of the city life and in good proximity to the Nnamdi Azikiwe international airport and other social amenities. The estate sits on a 10 hectares land which accommodates a total of 655 families of diverse categories of houses including studio flats, One Bedroom Apartments, Two Bedroom apartment, Two Bedroom Terraces, Two Bedroom Semi-Detached duplexes, Three Bedroom Semi-detached duplexes and four Bedroom semi-detached duplexes. These units are divided into three clusters (A, B, C) and separated by lush green lawns. Studio finishes include: Tiles, Sanitary Fittings, Internally plastered and painted walls. Affordable residence finished with our premium materials and offering larger spaces and clad in bricks and brick facings.